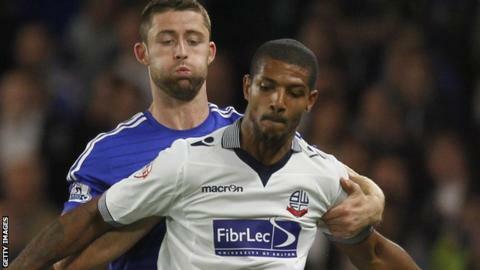 Championship side Bolton have released 13 players but offered new contracts to four players. Jermaine Beckford, Matt Mills, Craig Davies, Andrew Lonergan and Keith Andrews will all leave the club. Youngsters Chris Lester, Georg Iliev, Luke Woodland, Glenn Matthews, Ryan Sellers, James Ball, Carl Kennedy and Kieran Nolan are also let go. Darren Pratley, Adam Bogdan and veteran strikers Eidur Gudjohnsen and Emile Heskey are in talks over new deals. The club have also announced defender Quade Taylor has agreed a new deal but have not disclosed the length. Neil Lennon's team finished 18th in the Championship this season, 10 points above the relegation places.